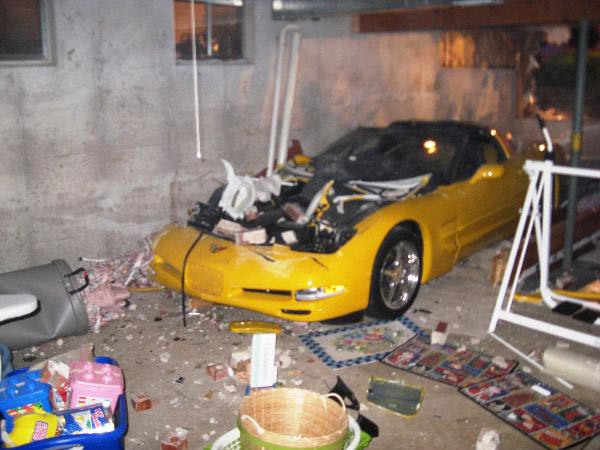 A homeowner in Hiawatha, Iowa heard a loud crash early Thursday morning and upon investigating, found a yellow C5 Corvette in their house. The car crashed through the wall of the split level home before coming to rest fully in the basement. The driver, 52 year old Lee Francis Brown was taken into custody on suspicion of drunk driving.